What's on your NoteMaker wishlist?? These are not required, but it's nice to give thanks to NoteMaker for sponsoring! Plus, you can stay up to date on sales, giveaways, and new goods! 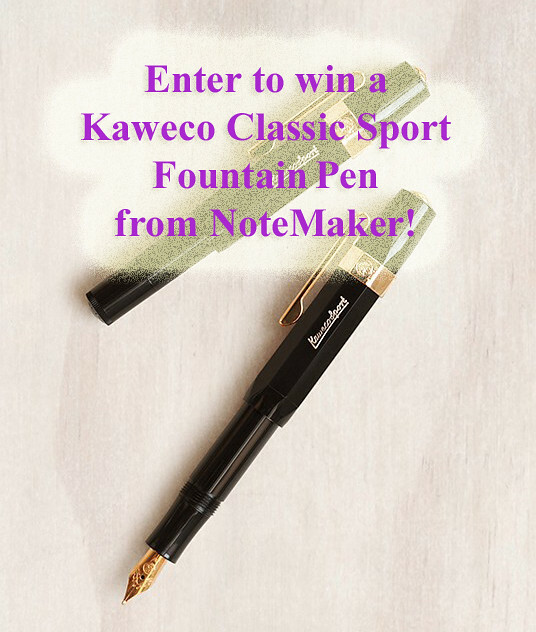 NoteMaker will ship the prize directly to the winner. Giveaway starts Friday, June 10th, 2016 and ends Sunday, June 19th, 2016 11:59 pm PST. Winner will be drawn from all the entries on Monday, June 20th, 2016. Thanks for entering and spreading the pen love! Good luck!